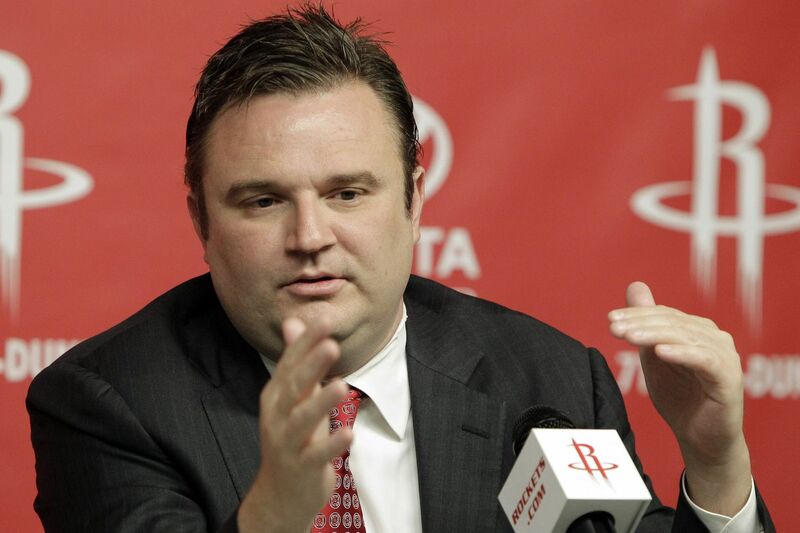 Houston Rockets general manager Daryl Morey reportedly has no interest in the Sixers. LAS VEGAS – The 76ers attempted to hire general manager Daryl Morey away from the Houston Rockets and were "rebuffed," according to The New York Times. Morey has been the general manager of the Rockets since May 10, 2007. The 45-year-old was named the NBA executive of the year last month. That came after Houston went 65-17 this past regular season and reached the Western Conference Finals, losing in seven games to Golden State. He is a strong proponent of analytics in basketball. The Sixers have been without a full-time president of basketball operations/general manager since Bryan Colangelo resigned on June 7. His resignation ended a stunning nine-day saga that began when a report from The Ringer tied him to damaging and anonymous Twitter accounts. Sixers coach Brett Brown has been serving as the interim general manager. The holdup in filling the vacancy could be because the Sixers want to find someone who is willing to give up absolute power in decision making. The Sixers prefer someone with GM experience and they would like to keep the front-office personnel intact. Multiple sources have said that Kiki VanDeWeghe has expressed interest in the job. VanDeWeghe is the NBA's executive vice president for basketball operations. He has had GM stints with the Nets and Nuggets. Former Cavaliers general manager David Griffin was once mentioned as the leading candidate for the job. Spurs general manager R.C. Buford and Oklahoma City Thunder general manager Sam Presti have been mentioned as possible targets, according to sources. However, the Sixers would have a tough time prying either away from San Antonio or Oklahoma City. Of the Sixers' current front-office executives, Ned Cohen, the vice president of basketball operations, could be the best candidate for the job. Cohen has a lot of relationships around the league from his time working in the NBA office. He's also been the one communicating with other teams and agents. Co-owner David B. Heller could continue to have a huge say regardless of who the Sixers hire.